All of the products shown in this shop are produced and sold directly by Kiddimoto. By clicking the picture you will be re-directed to their respective website to view the product and hopefully place an order. 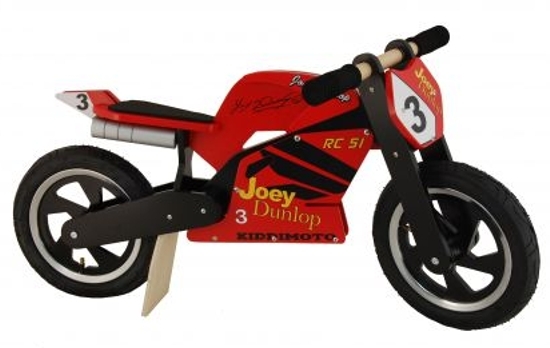 Become the next budding Joey Dunlop by riding one of these award winning bikes by Kiddimoto. A Kiddimoto balance bike can make the perfect gift for any toddler, boy or girl, aged from 2 years to 6 years old. Kiddimoto wooden balance bikes are made from natural birch plywood and are both very safe, fun & tough. A Kiddimoto balance bike makes a perfect first bike for kids! See a child's face light up with a balance bike! The ideal gift if Dad's a motorcycle enthusiast!!! Ideal for a child age 2 to 6 years to help children learn balance. The bike meets all safety standards and is CE marked. Safety tested to EN 71. The wood is Birch ply sourced from managed forests. Recyclable. 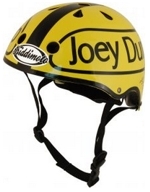 These helmets bring style and safety together and are multifunctional! Not only can you use these on your Kiddimoto bike or Scooter but you can use them for cycling, skating, anything! The vents in the helmet keep you cool whilst you're whizzing along and the extra pads give a comfortable personal fit to your head.